It’s early in 2019 and you are probably realizing that you’ve been slacking regarding your finances. Ironically, you felt the same way a year ago (and probably the year before that) but are stuck in first gear. So, the question remains: is NOW finally the time the get your financial house in order? I say YES, with a caveat of course… the caveat being you aren’t alone. In fact, 3 out of 5 Americans live paycheck to paycheck. Fifty percent of people are not able to confidently explain what a 401(k) is. More Americans than not “feel lost” when it comes to long-term planning. YIKES! As a veteran financial planner in this world, this worries me. 1.Become self-aware of your cash flow. Spending, budgeting, whatever you want to call it…it’s what goes in and what goes out. Break it down monthly. First write down what you THINK you spend your money on, then track what you ACTUALLY spend your money on. This will be an eye-opening experience. You will realize you are spending money on things that either a) depreciate or b) don’t matter. Maybe you will see that you’re spending money way too much on a hefty cable bill, plus HULU, plus Apple TV, plus Netflix. And unless you are watching TV eight hours a day, you can possibly free up a couple hundred dollars a month and apply those savings paying down credit card debt or saving for retirement. Not a bad idea, right? This awareness exercise requires some legwork up front, but if you spend the time doing it, you will feel like a new person when finished. 2. Use the 50/30/20 rule. Once you have a grip on your cash flow, this rule suggests using 50% of your income on essentials (aka food & housing), limiting 30% of income for nice-to-haves (personal luxuries like cell phone, gym membership, entertainment), and saving the remaining 20% (i.e. your “getting ahead” category). If you are close to these figures – you are probably in pretty good shape. But take the time to categorize your monthly spending – where are your dollars going currently? Group your spending into 1 of the 3 categories of “essentials”, “lifestyle”, or “saving”. Ask yourself: Is this where I want to be? Similarly, if you get a raise or a bonus, where will you want to allocate that additional cash flow – save it or spend it? The choice is yours, just know if you are aware of your choices you will naturally make better decisions. 3. Get a one-page financial plan. If you are like 75% of Americans, you too do not have a written financial plan. I’m not advocating that everyone goes out and pays thousands of dollars for 80 pages of fancy charts and graphs. In fact, this is all about making things simple. A one-page plan should clearly state what’s important to you, both personally and financially. It should include your top goals, figures showing your budget and net worth, and an implementation checklist amongst other things. Studies show that if you have a plan, you will be much more confident about your future. If you can’t do this process on your own, ask your advisor if they can do it (or find an advisor who will)! 4. Organize your “stuff” in one place. Whether it’s a folder or a binder – consider one centralized place where you consolidate all financial-related information. On the list of things to include is a breakdown of where the investments are held, what insurance companies are involved, and who the key contacts are (insurance agent, accountant, attorney). This would also be a place to include any wills, health care directives, passwords, and maybe even some advice on how to proceed in your absence. Whether you keep it in a bank safety deposit box or in an underground safe, make sure it is “safe” but also where your spouse or beneficiaries know where to find it. I personally review mine periodically for updates/changes. My wife knows where it’s located. And I even have a final “letter of instruction” so she has a clear picture of the situation and will feel organized in what otherwise will be a state of chaos. Bottom line. There is no better time to get things in order other than now. Don’t kick the can down the road – take some initiative and feel good about making progress. 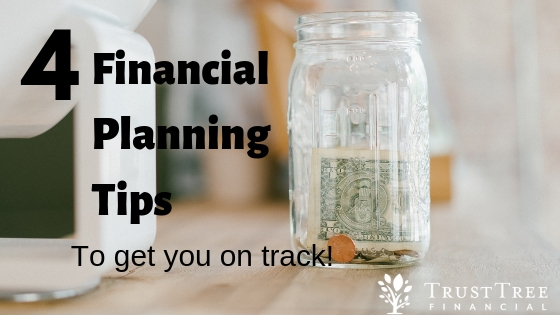 If you need help, seek out a reputable and professional financial planner. You’ll be glad you did.